Please pardon the dirty stove. 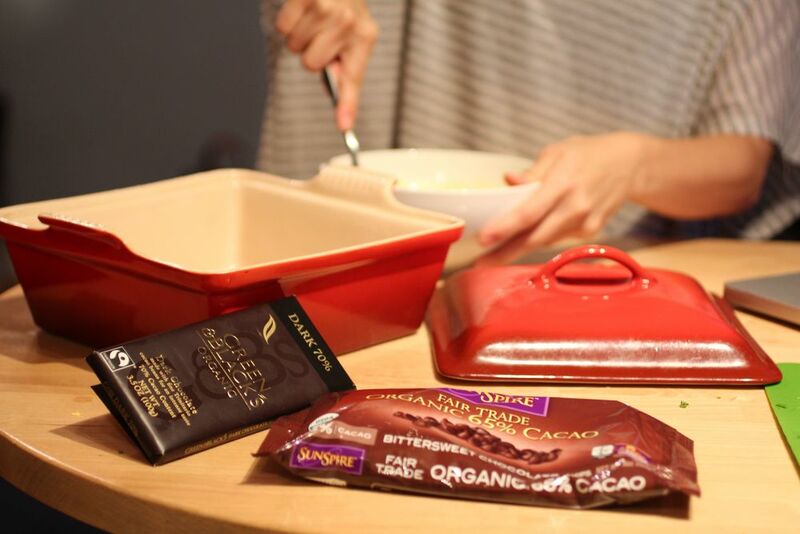 Make yourself a double boiler to "melt the butter and chocolate in a bowl set over a saucepan of simmering water". In the saucepan, there's about 2 inches of water, just enough that it won't all evaporate once it starts to boil or touch the bottom of of the metal bowl placed on top. Metal conducts heat which helps melt the chocolate quickly. A glass or ceramic bowl will work nicely also. No matter what, be very careful during this step. 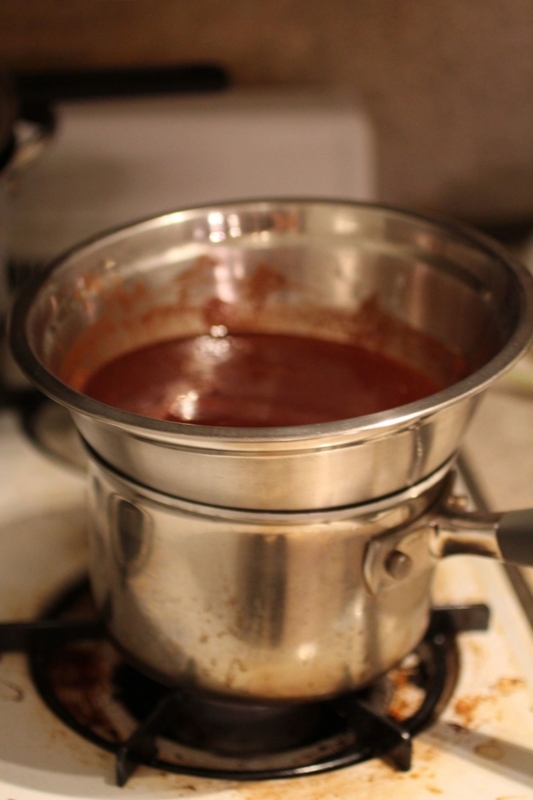 The bowl will get very hot and watch out for the steam when you eventually take the bowl off of the saucepan. Adding the melted butter and chocolate to the eggs beaten with sugar and vanilla. Make sure to scrape out every last bit! Add the flour and the chocolate chips, stir to combine. It's okay if the batter is lumpy. 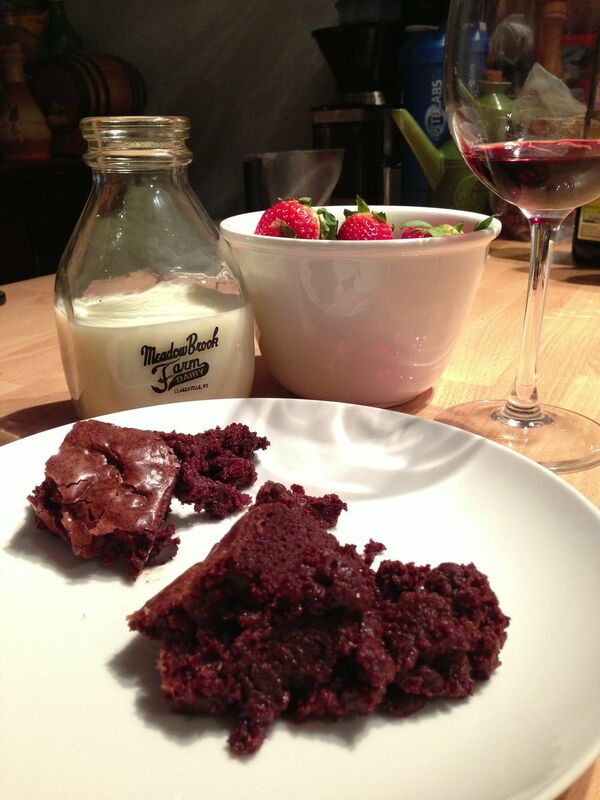 I promise that the lumps will disappear when baked and, if you over stir, the brownies will be tough and cake-like rather than moist and crumbly. 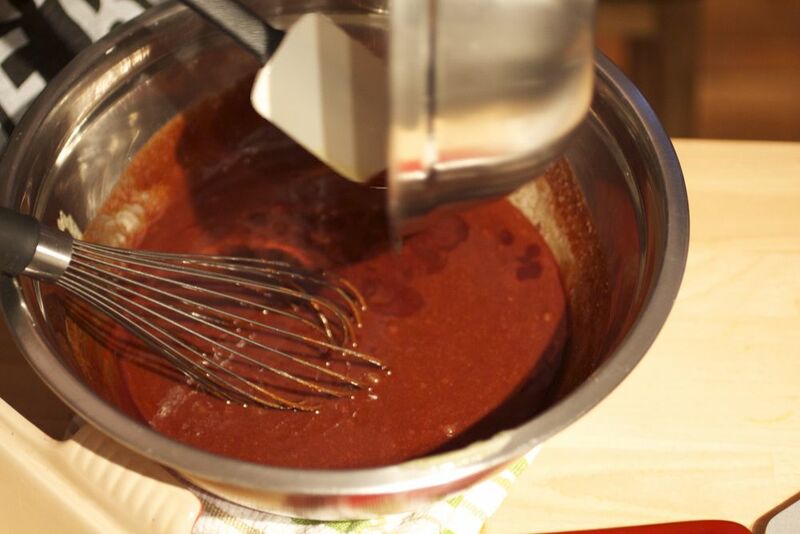 Melt the butter and chocolate in a bowl set over a saucepan of simmering water. Beat the eggs, sugar, and vanilla together in a bowl until combined. Add the melted butter and chocolate, and whisk until incorporated. Fold in the flour and salt, and finally stir in the nuts. Pour into a greased 9-by-9-inch pan and bake for approximately 35 minutes or until it's just pulling away from the sides; the center should be very moist but not runny. Allow to cool in the pan before cutting. 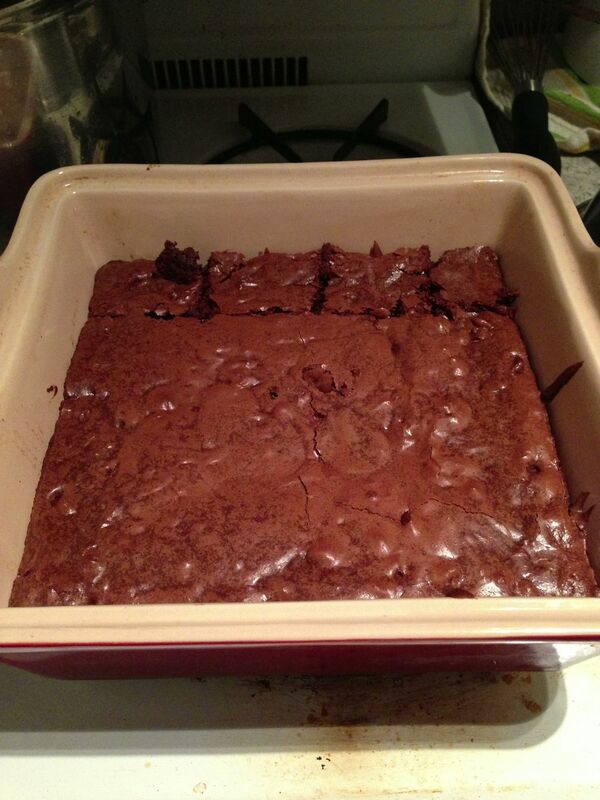 Best served when the brownies have rested for several hours.